This week we take a look at some horror-themed card games that deserve more attention. All are card or card/board hybrid games and all can be played in a relatively short (one hour or less) period of time. WoMH is a party game, and follows the lead of popular convention games like Mafia. 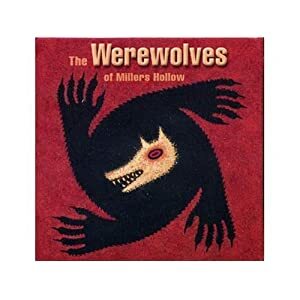 In Werewolves, players are dealt a character card – either villager or werewolf – which is kept secret. During the day turn, the players discuss who might be a werewolf and designate someone, suspected of being a werewolf, to be “executed.” The poor unfortunate is out of the game, and in revenge should feel free to laugh uproariously at any future decisions made by the group. During the night turn, everyone closes their eyes, and the werewolves pick someone to (figuratively, of course) devour. 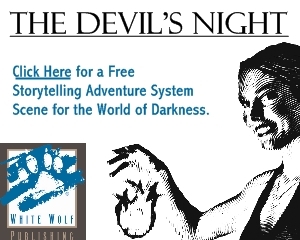 The game ends when either all the werewolves have been killed, or when only werewolves survive. The truly fun part of this game is the villagers’ discussions, where everyone can watch each other for signs of Lycanthropy. Simple psychology comes into play here; is the player a bit too eager to implicate someone else as a werewolf? Do people die in the night after accusing a particular person of being a werewolf? First game will be longer as players figure everything out, and one player always needs to act as referee to maintain pacing and facilitate turns. Expansion New Moon also exists that adds event cards, new bonus roles for villagers, and tons of suggestions to build atmosphere and drama. For 8-18 players, ages 10 and up. Playing time estimate of 20 to 30 minutes per game is reasonably accurate. 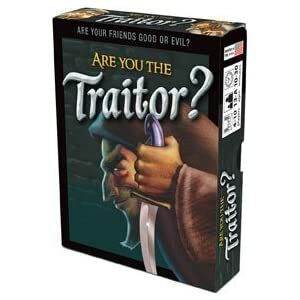 Much like Werewolves of Miller’s Hollow, Are You The Traitor is a game where player’s must guess who the enemy(s) are. Players are either on the good team or the evil one, and roles consist of Good/Evil Wizards, Key Holder, Guards, and the Traitor. The turns here are not divided into day/night, but rather involve unstructured conversation until one player yells “stop” and points at the person they think is holding the role that the pointer must target. If that player is correct, everyone on their team gets a treasure card. If they’re wrong, everyone on the opposing team gets a treasure card. Players continue until one or more players have ten or more points worth of treasure. The one with the most treasure wins! For 4 to 10 players, ages 13 and up. Playing time is 10 to 30 minutes per game. 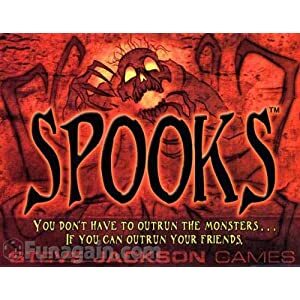 Resembling a trick-taking game, Spooks challenges players just to keep up. The object is to empty your hand of cards first, but complications arise as players try to follow the lead. 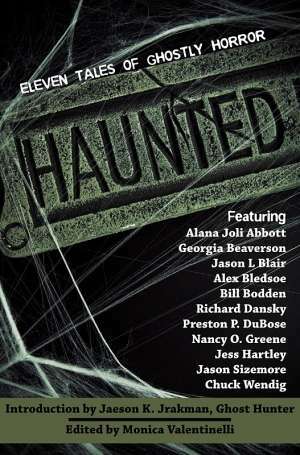 Five suits – Spiders, Goblins, Ghosts, Bones and Bats – all do something different. The last card played in a hand affects the next card; the Spider and Ghost suits for example, require the players to play the next number in sequence or pass. The Bats and Bones suits require a card that matches to be played next – either matching the suit or the number- or the player must pass. When a Goblin card is played, players step outside of the hand for a moment and each lays down a single card face down. Highest Goblin wins this side hand, though this is also a good opportunity to shed useless or weak cards. The Black Cat is wild, but passes the lead to the next player when used. A bit tricky to get the hang of, but loads of fun. For 3 or more players. No suggested age range — probably 10 and up. Playing time not suggested; probably 15 to 20 minutes per game. 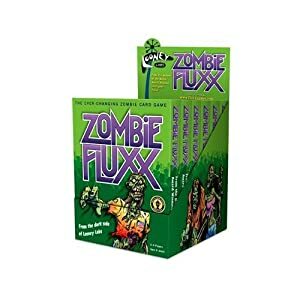 For those familiar with Fluxx, the idea of adding zombies probably appeals; for those who aren’t Fluxx is a card game with a simple, basic rule – Draw One, Play One. To win, you need to meet the conditions of one of many goals in the deck. Goals cycle through rapidly, so the victory conditions change often – sometimes on every player’s turn. Zombies add a new mechanic to the game: the Creeper. You can’t with if you have a Creeper in front of you (in this case, one or more zombies) unless you draw a card that says otherwise. There’s also a way for all players to lose the game if the Ungoal comes into play – also a new mechanic. Fluxx is basically a game of organized chaos, but it’s insanely popular, and that counts for a lot. For 2 to 6 players, ages 8 and older. Playing time is roughly 10 to 40 minutes. HeroCard Nightmare takes the concept of the classic board game Clue and dumps it on its ear. Players take turns trying to ferret out which character is afraid of what monster combined with which setting – the Zombie in the Forest, perhaps, or maybe it’s the Beast in the Farmhouse. Players use their actions to move the monsters to different locales, then move the sleeper figure there and make an “attack to scare.” If successful, characters who are afraid of either the setting or the monster must declare that they are afraid, but need not specify further. Players must eliminate other possibilities until they’ve narrowed down both aspects of one character’s fear, then make a successful attack to Kill that character. HeroCard Nightmare uses the clever HeroCard mechanic; characters have a base rating in three attributes: Body, Mind, and Attribute X – representing chance or Karma. Cards are played that add points to an attack, and these cards have a second point value based on one of the three attributes reflecting the characters’ ability to use them. Characters must spend an action to remove used cards from previous rounds, making it important to time attacks carefully. For 2 to 4 players ages 13 and up. Playing time approximately one hour.